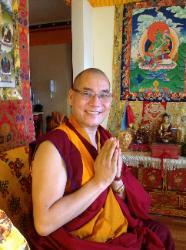 Healing Buddha Foundation is created by Phakyab Rinpoche, founder and spiritual director. Through compassion, healing and peace, we help people who suffer physically or mentally to recover their well being and joy of life. In particular we help the impoverished Tibetan refugee mothers and their children to be healthy and economically self sustaining. And we support also the activities of the monasteries linked to Phakyab Rinpoche in Tibet and India. Healing Buddha Foundation encourages and enables the well-being and the development of the people facing sufferings of all types. We promote widely and transmit the Buddhist inner sciences and ethics, while preserving the unique Tibetan cultural heritage. and unassisted pregnancies, to become healthy, educated and economically self sustaining community members. because the monks face chronic difficulties in meeting their basic current and projected needs.